A huge turnout of the Seattle Urban Sketchers celebrated summer on the day after the solstice with a sketch outing on Alki Beach, and we agreed it couldn’t have been better weather. Sure, some of us had to wear Polartec and hoodies in the morning, but personally, I don’t like to sweat. It was perfect! For my first sketch I sat on the low wall between the beach and the rest of the park to take in as much as possible of Elliott Bay and the shoreline, including the Space Needle and Queen Anne Hill’s three TV towers on the horizon. 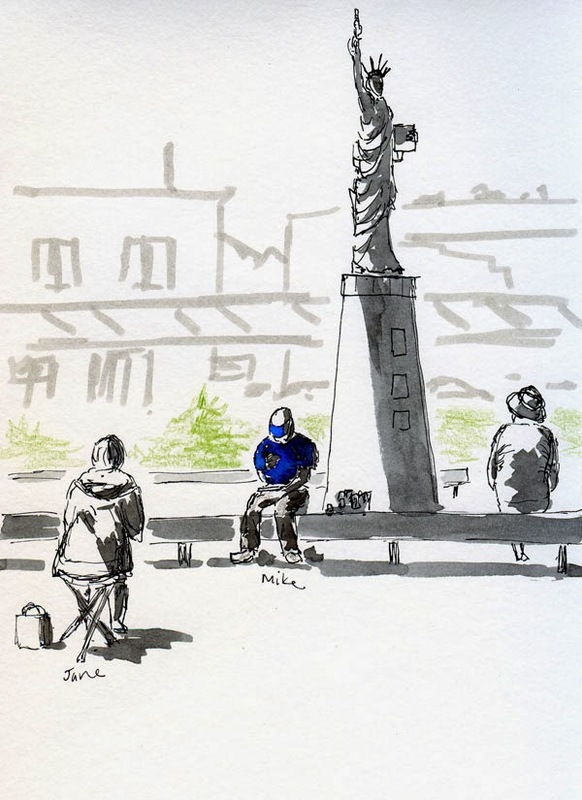 Then I turned around to face Seattle’s own tiny replica of the Statue of Liberty, where I managed to catch Jane and Mike sketching in both directions. 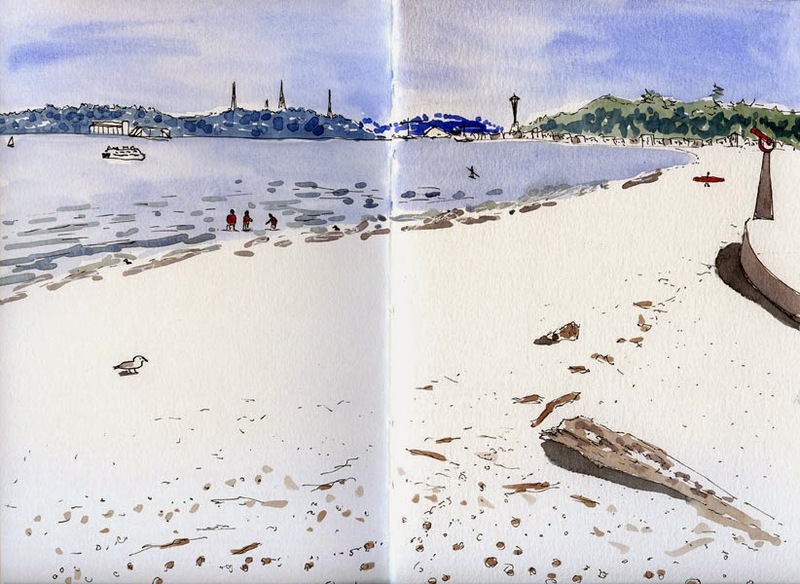 Alki must have been a particularly inspiring location – I saw so many really great sketches today!